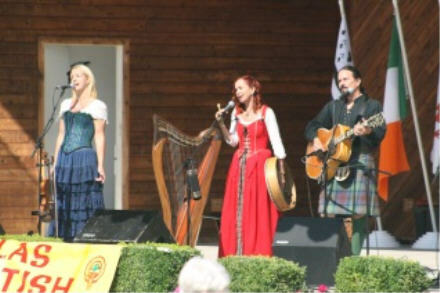 It is so nice to have a friend that I can call and say – hey you wanna go to a celtic festival with some dogs and sheep and camp for the weekend and have them say ‘yes’! Kristine is such a friend and we have had many adventures together – this weekend was no different. 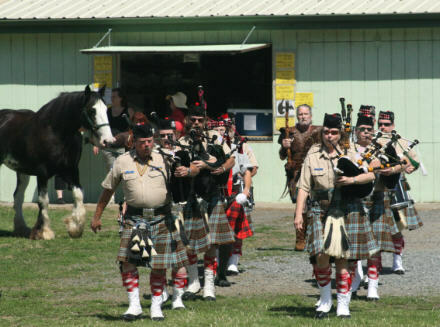 We took 4 dogs and 5 sheep to the 17th Annual Celtic Highland Games in Winston, OR. Packing the car was a very strategic process. Paisley, Kate, and Zoey were in the back and Riley was cozied in behind my seat. We also had a tent, ez ups, photography equipment, fiber stuff, chairs, tables, generator, ice chest, sleeping bags, pillows, clothes, water buckets, etc. It was a good thing we weren’t going very far! 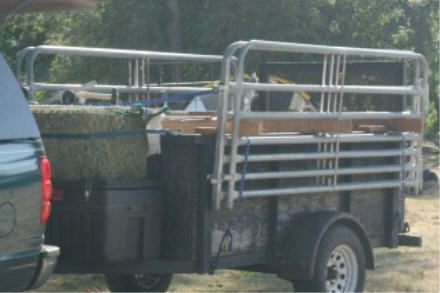 I can’t pull our stock trailer with my car and we couldn’t put all of the dogs in our truck, so my husband fixed up our utility trailer to haul the sheep and panels. I had to provide the pen for the sheep to stay in. This worked really well. Even Holly thought it was ok! When we got there we couldn’t find the person who knew where to set the sheep up, so we went to the camping area and set up our tent and camping stuff first. We encountered a few unsavory individuals and were planning our sleeping arrangements – Kate in front of the door and a hammer laying next to our pillow. We were aware of our surrounding and trying to keep a good sense of humor about it. We finally found where the sheep were going to be setup and made their pen – the whole thing was very laid back and we weren’t really sure the best way to do things. 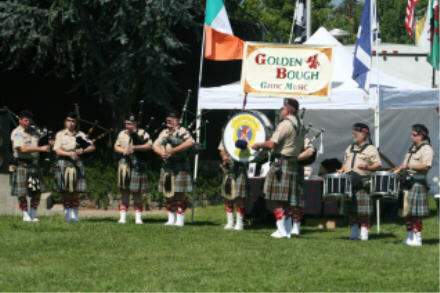 During all of the moving and setting up we had the pleasure of listening to this fabulous group – The Golden Bough They played Saturday and Sunday as well and I really enjoyed them. 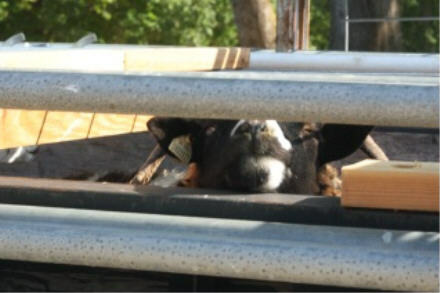 I gave 2 herding demonstrations daily. 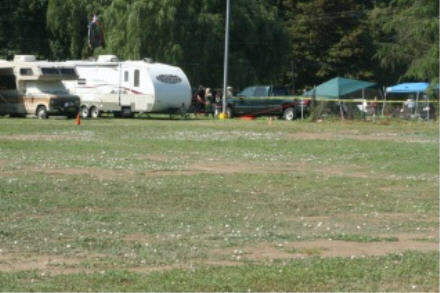 The field that was provided didn’t have any fencing and the rv’s were right on the perimeter. Luckily I had complete faith in my dog and sheep and they didn’t let me down. 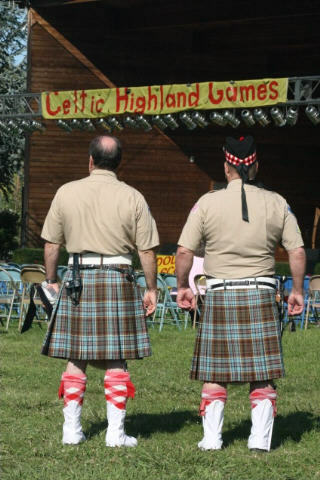 There were kilts everywhere and by the end of the weekend, I was starting to feel a little out of place in my jeans. There was a clan parade each day. The bagpipes were incredible and we woke to them each morning. 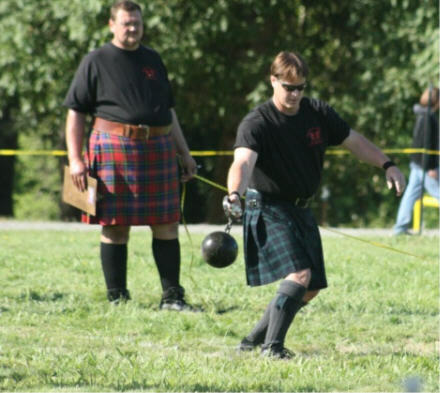 The weekend was all about the highland games – throwing heavy stuff and sharp objects. Everything is authentic and there aren’t very many safety precautions taken! At one point they were lifting 142 lb. rocks over their head and throwing them!!! We were in awe! 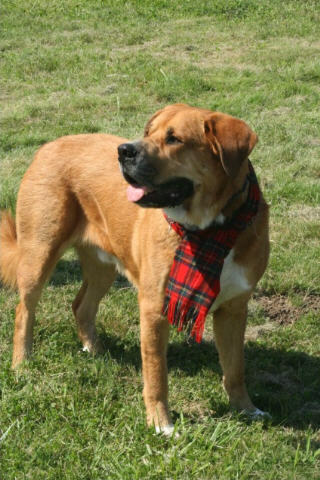 There were many dogs and several showed their heritage along with their owners. There was an amazing knife thrower that we nicknamed ‘warrior boy’ and he gets quite a bit of air time in the piece. ← They enjoyed every minute! 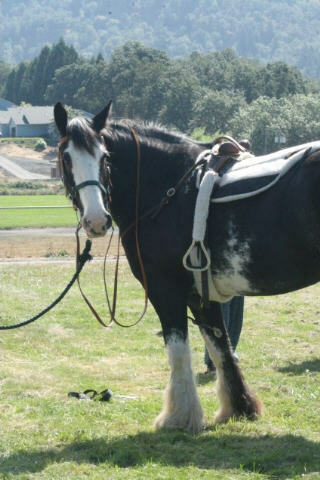 Is that an Irish Cob? I got such a laugh out of what you got packed in your car. 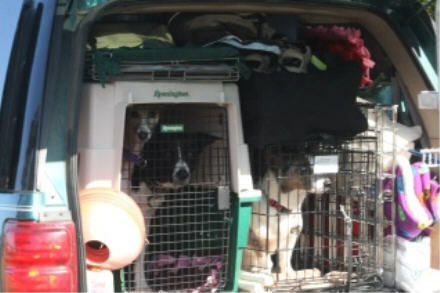 If I remember, I’ll have to get a picture of my minivan loaded for SAFF – with my sheep tucked in amongst our booth items.